TC-Helicon has just announced a brand-new vocal effects box called the Perform-VE. It totally looks like a kid’s toy, but on the inside, it’s more like a playground. 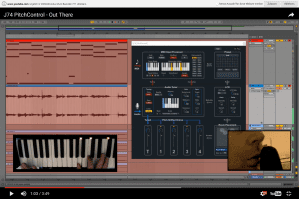 Meant for live use, the unit records samples of your voice and gives you several options to modify them on the fly, then play them back via MIDI controller. 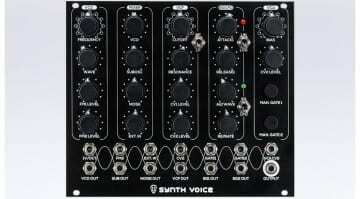 It has facilities for sound mangling, such as pitch shifting, modulation effects, and a synth vocoder. Since the product is designed for quick, minimum-fuss live use, it also boasts a one-button looper with built-in drum samples. So you can sort of beatbox with it, too. Additionally, this box of instant “weird vocal” gratification features automatic algorithms for applying EQ, compression, de-essing, and gating effects. This way, your voice will always sound polished, though we can’t know for sure how well these effects preset fit every individual voice. Hopefully, the unit is smarter than it looks. 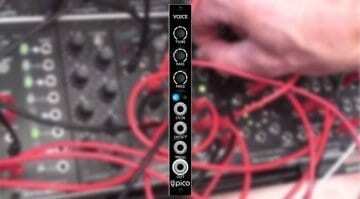 – Intelligent mic input gain for quick setup. The unit has a built-in mic preamp, too. Overall, the Perform-VE looks like a fun vocal effects box that’s not to be underestimated despite its banana-coloured, approachable design. The product isn’t for sale yet, but it’s probably not going to be majorly expensive, as TC-Helicon’s Perform line of vocal processors is mostly budget-oriented.